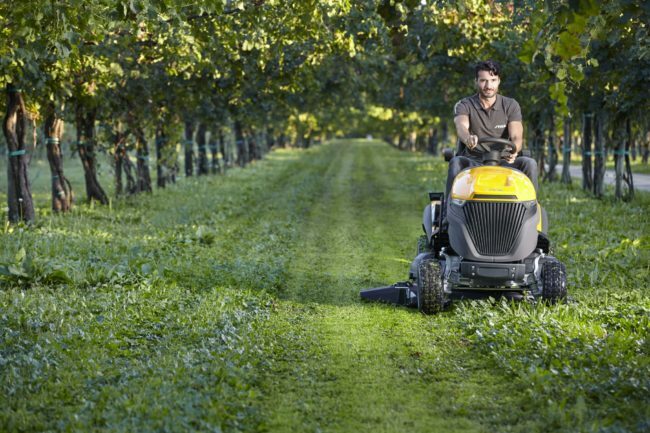 This versatile 4 wheel walk behind mower is real pleasure to use. 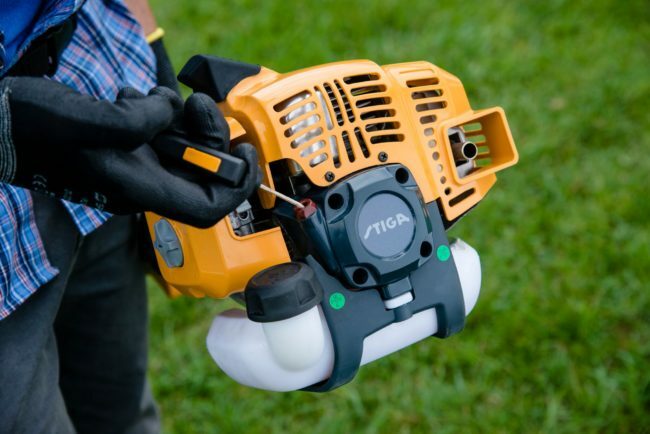 The advanced 163cc Briggs and Stratton Mow N’ Stow engine is the lightest engine in its class, making it easy to use, easy to transport, easy to clean and easy to store. Drive is provided through a heavy duty aluminium high torque cone clutch transmission with forward speed smoothly adjusted through the variable speed transmission. 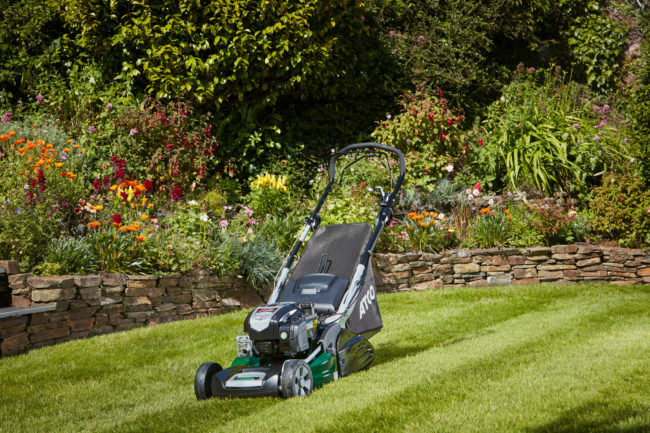 The innovative Twinclip blade with four cutting edges doubles mowing efficiency and the extra fine clippings are blown into the large 70 litre collector that delivers a 20% increase in collection capacity. The hybrid chassis features an extremely durable galvanised steel cutting desk with a J-section lip that doubles the rigidity. The heavy duty handle bats are adjusted with a single click motion and can easily fold over the engine allowing the mower to be stored on its end reducing the amount of valuable space required for storage by up to 70%. The vibration control system minimises vibrations, causing less strain on your arms and providing a more comfortable working experience. 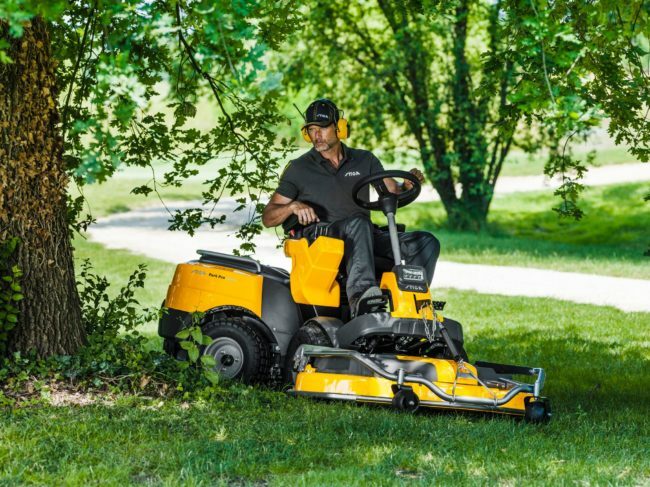 Complete with a side discharge facility, this versatile 4-in-1 machine allows you to collect, mulch, rear discharge or side discharge depending on your needs, cleaning after use is facilitated using a clip on hose connector. The model benefits from fully hydrostatic transmission. The hydrostatic system gives infinitely variable forward and reverse speeds using a foot pedal and can shuffle effortlessly between the two. 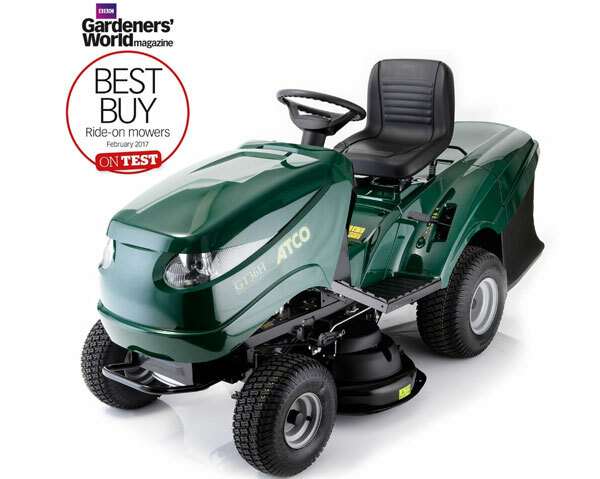 The GT36H has a 96cm (36”) cutting deck with twin contra-rotating blades. This cutting arrangement gives an excellent finish and powerful rear discharge of cut grass into the collector. Blades are engaged and disengaged at the flick of a switch through an electronic clutch. 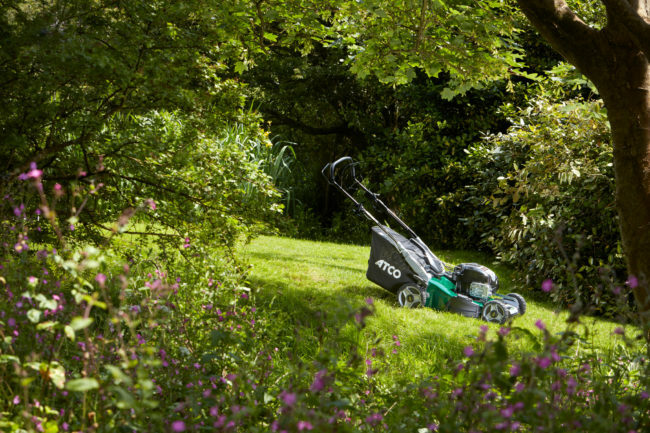 Clippings are blown into a large 290 litre capacity rear mounted collector. A buzzer sounds when the collector is full and it can be emptied without leaving the driving seat. A stylish front bumper is included along with a mulching plug and tow hitch. An optional long grass rear deflector is also available.